Summer is fast approaching, what’s a better way to enjoy the Gold Coast’s abundance of sun than to install an outdoor kitchen for all your entertaining needs. At BJF we always get an increase of outdoor jobs around this time of the year. This big increase comes from renewed interest in outdoor kitchens around the Gold Coast. The best way to make use of the natural advantages of the Gold Coast’s beautiful climate is to embrace the outdoor living areas of your home. When you install an outdoor kitchen it is a move away from the cramped indoor areas to the space and freedom of the outdoors. 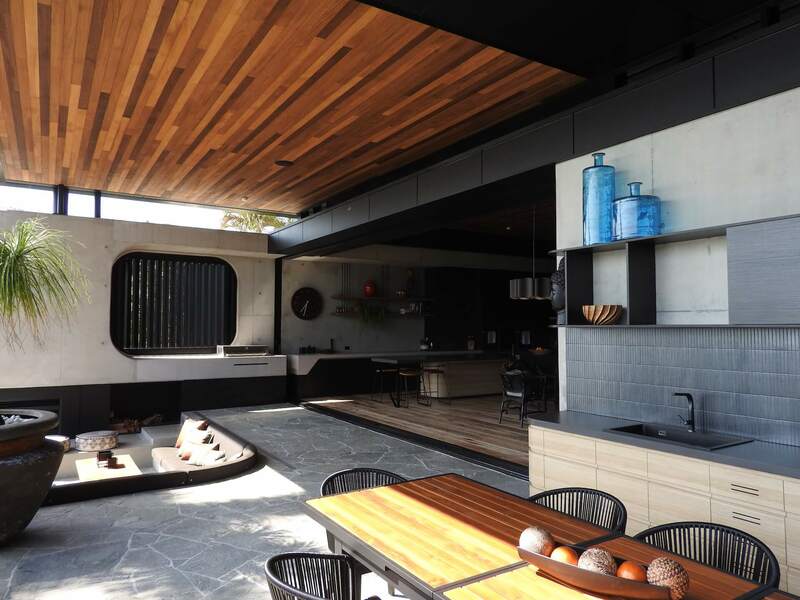 We have put together a quick list of reasons you should consider installing an outdoor kitchen at your humble Gold Coast abode. An outdoor kitchen is the perfect space for entertaining, allowing you to escape the smaller spaces and entertain more people with more comfort. You can entertain care- free knowing that the cleaning job is going to be easier. You don’t have to worry about uncle Joe spilling half a glass of red on the new rug. With more space than an indoor kitchen you can entertain while the cooking is being done. It’s easy to add a fire pit or some outdoor heaters to create a space that can live up to your entertaining needs all year round. Outdoor kitchens are increasingly becoming important selling points for Gold Coast homes. There is no doubt that if you put in a well-designed outdoor kitchen it will increase the value of your home and can be a great selling point. Unlike improving existing areas of your house adding a completely new section, such as an outdoor kitchen, adds additional functionality to your home. Improvements like this have always seen great returns on investment when it comes time to sell. When you want to heat some pies for the footy or prepare a roast to impress the rellies you inevitably must pump the aircon just to counteract the oven. You can save on the cost of electricity when using your outdoor kitchen. Instead of having to pump the aircon during the hot Gold Coast evenings to counteract your oven, just take the cooking outside. Better yet, install a wood fired stove or Webber and use the natural source of energy to decreases your bills even further. One of the best things about installing outdoor living spaces is that there is minimal construction needed. Outdoor spaces are great to increase the functional size of your house while remaining low cost and reversible. The space you develop into an outdoor kitchen could be renovated into another room at a later stage. However, to add an extra room or expand existing rooms is going to cost an arm and a leg in comparison to creating an outdoor kitchen. No need to add on a room with walls and a roof; simply incorporate the space you already have on your back porch. If you have a covered patio, you’re all set to bring in appliances and have the outdoor kitchen of your dreams. These are just some of the many reasons you should consider adding an outdoor kitchen to your home on the Gold Coast. There are some important factors to consider when making the move to install an outdoor kitchen. – What appliances do you want to invest in? do you want a simple barbeque and a few countertops? Or do you want an extra fridge/freezer, a sink, ice machine and a bar? You need to think heavily about how you want to utilise the new space. – What lighting and heating will you need? Are you going to use the space in winter? If so what heating are you going to invest in? A fire pit or electric heaters? – What materials are going to match your aesthetic intentions and your functional needs?